Full match highlights from FC Barcelona's brilliant 4-0 victory against Real Soceidad at the Camp Nou. Highlights from Barca's 6-1 thrashing of Roma at home in the Champion League Group Game. 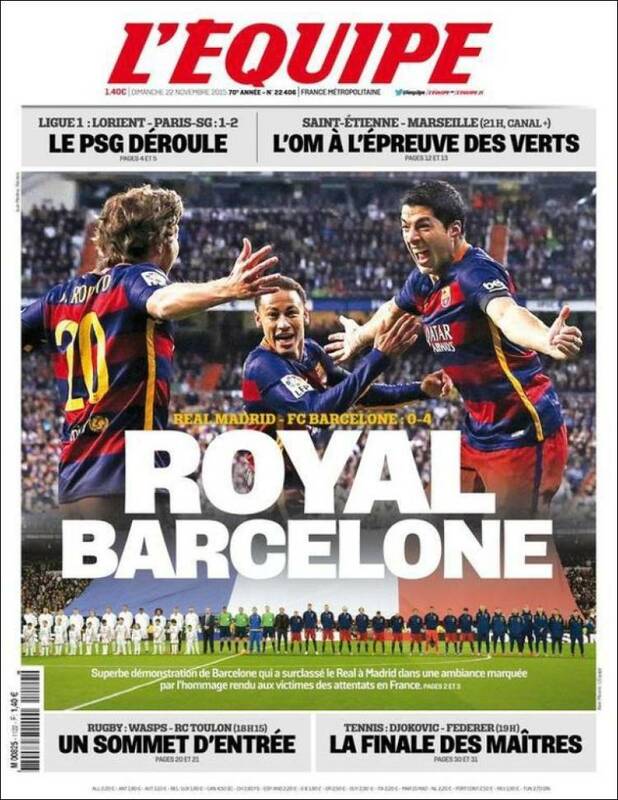 Barcelona's 4-0 victory over Real madrid seen across Newspapers of the World. 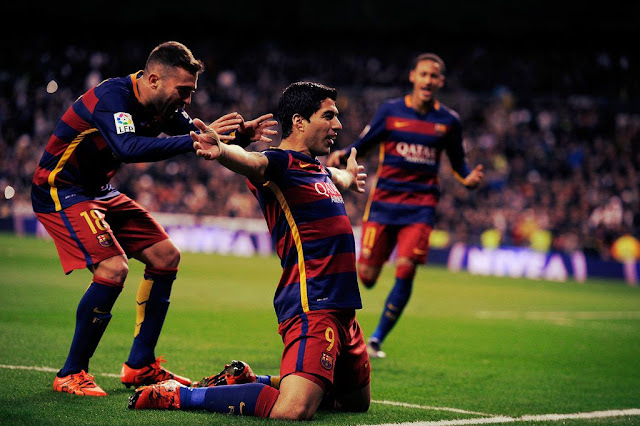 FC Barcelona produced a sensational display at the Bernabeu tearing apart Real Madrid. Luis Enrique, Neymar and Iniesta scored all the goals for Barcelona..
Barcelona Futbol Club produced something spectacular last night to destroy Real Madrid at their home Santiago Bernabeu. The scoreline 4-0 never gave an accurate picture of the gulf between two sides on the night. Had all the easy chances been taken, we could have seen a scoreine of 8-2 or something. That how superior Barca was on the night. On a night when Barca's midfield were in total control, two goals from Luis Saurez and each one from Neymar and Iniesta completed the scoreline. Real Madrid produced a late surge after going down 3-0 but Barca's keeper Bravo was in spectacular form denying every chance of Real Madrid. Barca's "Man of the Match" without any doubt was Andres Iniesta, who was given a rare ovation by a lot of Real Madrid faithfuls; something which was never expected taking in to account the bad vibes between the two sides in recent meetings. 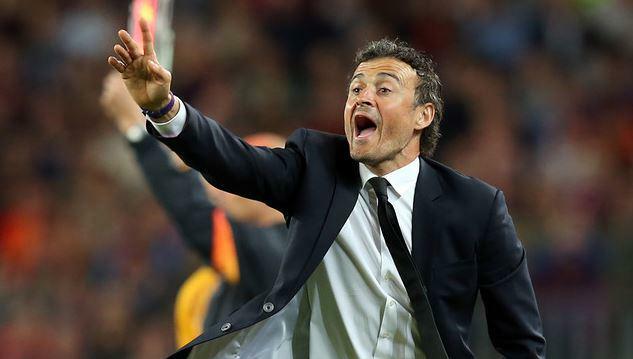 It was nothing less of an exhibition at the Santiago Bernebeu by Luis Enrique's men. Enjoy the full match highlights from FC Barcelona's 4-0 thrashing of Real Madrid at their own stomping yard. FC Barcelona goes into the Away La Liga Clasico with a three point lead on top of the table. 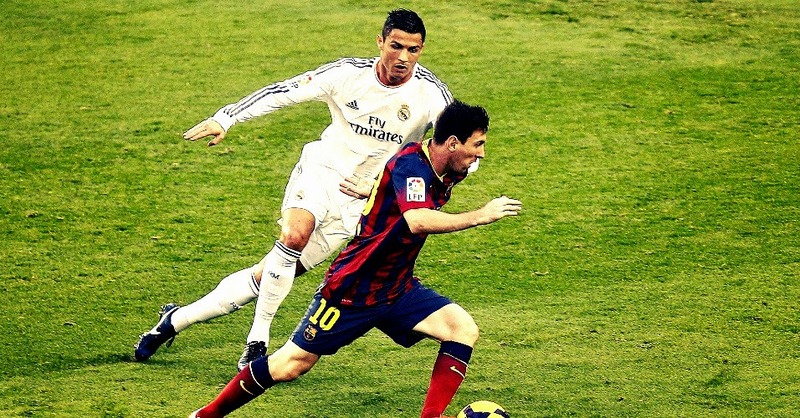 Lionel Messi's availability is the most discussed topic building into this Clasico. Which is no Surprise!!! Neymar and Saurez should be really angry! Or at least they have the right to be. In the absence of the "Best Player in the World", they have created a remarkable turn around in spectacular fashion. When we lost Messi to injury, we were still in top three, but that was due to others slipping. Without Messi Neymar and Saurez have taken the lead scoring spectacular goals; or better put they themselves have emerged partly out of Messi's shadows; I would say. So coming in to the Clasico; it should have been how the duo of Neymar and Saurez is going to take Real Madrid apart. Instead we are back to where we all start at the beginning of every Clasico - Messi's effect on the game. So almost all the discussion has been about whether Messi will be available to take on the arch-rival at the Santiago Bernebeu. The availability of Lionel Messi would swing the match in Barca's favour based on the latest football betting tips. FC Barcelona went to the top of the League ahead of the upcoming Clasico with a gritty and spectacular victory against Villarreal at the Camp Nou. 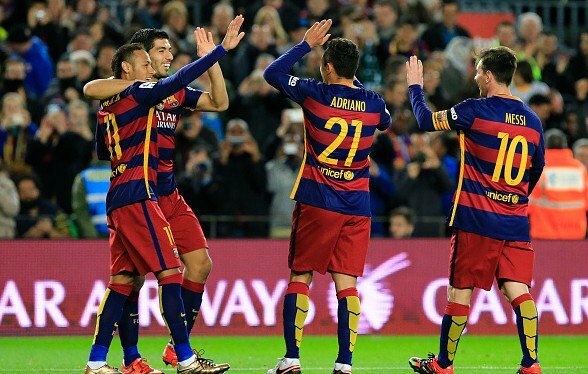 Neymar scored twice and Saurez once to make it a very memorable night for the team in the Blaugrana stripes. 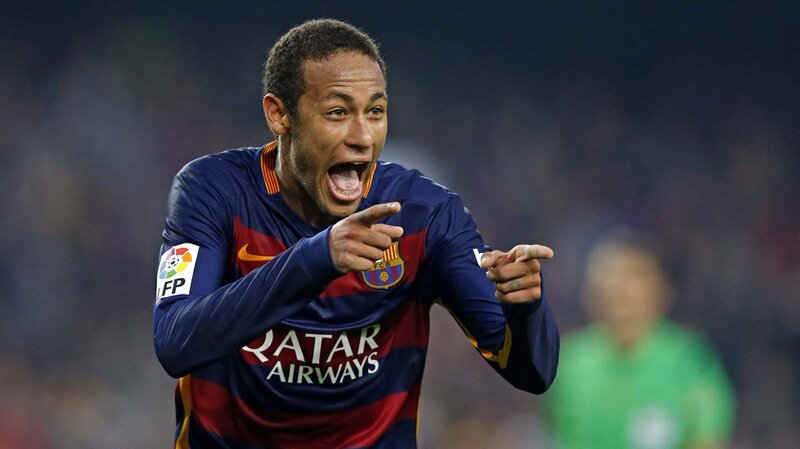 Neymar's second was an absolute gem and reminded the Barca legend Ronaldinho in many ways. With Real Madrid losing at Sevilla, Barca has opened a three point lead which would be very handy when we visit the Santiago Bernebeu in two weeks time. Barcelona Football Club's defense to La Liga title will start in the toughest fashion possible with a series of tough fixture right from the starting day. The start in itself is spectacular with Barca visiting the San Mamés to kick start their title defense. Now usually a travel to Athletic Bilbao's home ground is a tricky affair; but this time around it may not be that tricky as we already would have traveled to the same place to face them in the Spanish Super Cup. Yes, you heard that right, three out of four of Barca's starting match is with Athletic Bilbao and all of those come in a series. Barca will start the 2015-16 season against Sevilla in the UEFA Super cup, followed by the two Spanish Super Copa matches against Athletic Bilbao and then the La Liga opener at the San Mamés. In the first 12 rounds of the La Liga we will be facing Athletic Bilbao, Atletico Madrid, Sevilla and Real Madrid away from home. 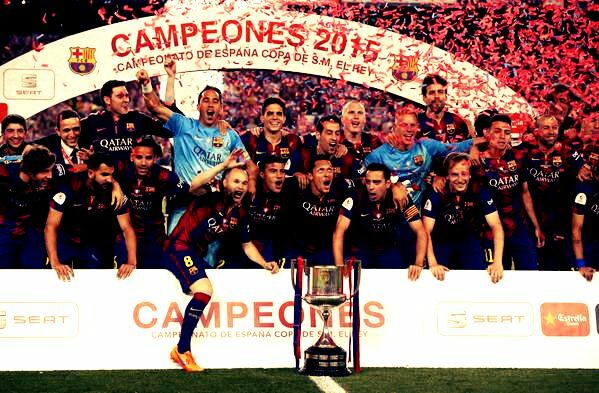 Despite such a tough start to the season, FC Barcelona remains the football betting sites favourite to win the 2015-16 La Liga title. 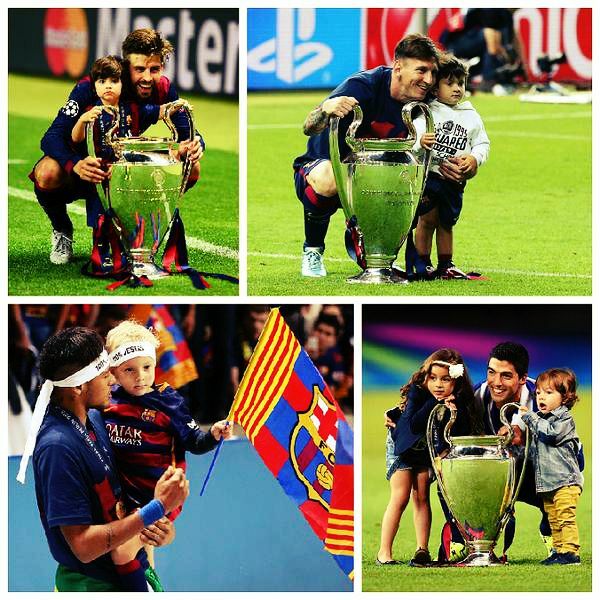 All the highlights from FC Barcelona's Copa Del Rey triumph against Atletic Bilbao in the final on 30th May 2015. Lionel Messi scored one of the best goals ever scored in a cup final. 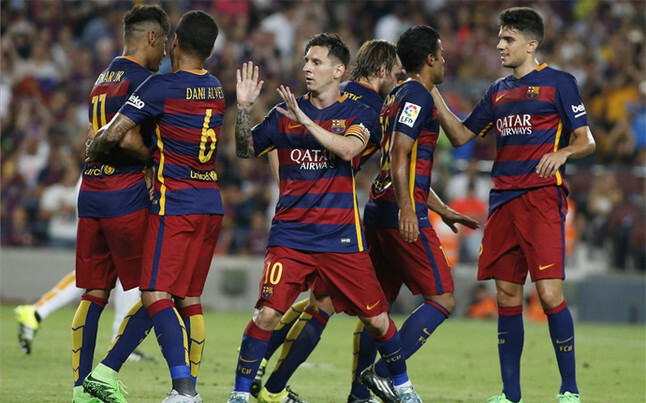 Lionel Messi and Neymar scored in a comfortable Cup Victory for FC Barcelona. Lionel Messi showed to the world once again Why he is considered "One of the Greatest of All Time" helping FC Barcelona secure their second title of the season. 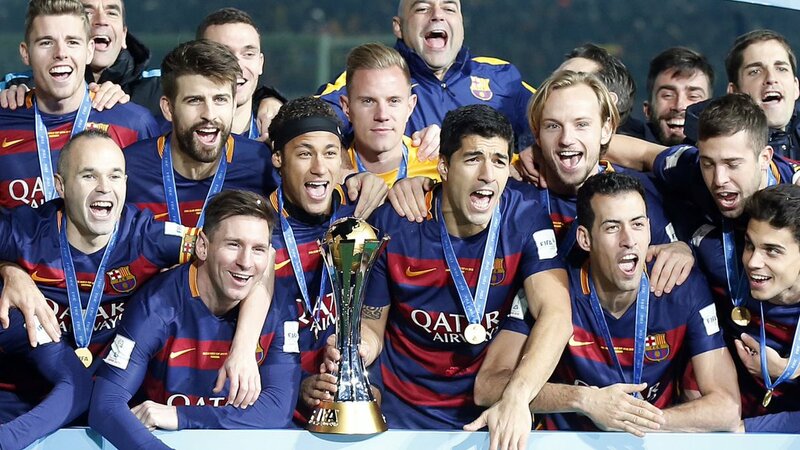 With this title victory Barca stay on course for a history repeating treble success. I don't think there has been ever an instance in Europe where two teams meeting at the final of UEFA Champions League are both with a chance to complete a historic treble. On a night which was the last appearance of one of the greatest midfielder produced by Barcelona and Spain at the Camp Nou, a bigger talent stole the show on the field. The first goal Lionel Messi scored will be remembered for ever as one of the greatest in a cup final. It wasn't like teh other two goals war simple ones, they were beautiful. But this was something else! Totally Diferent! 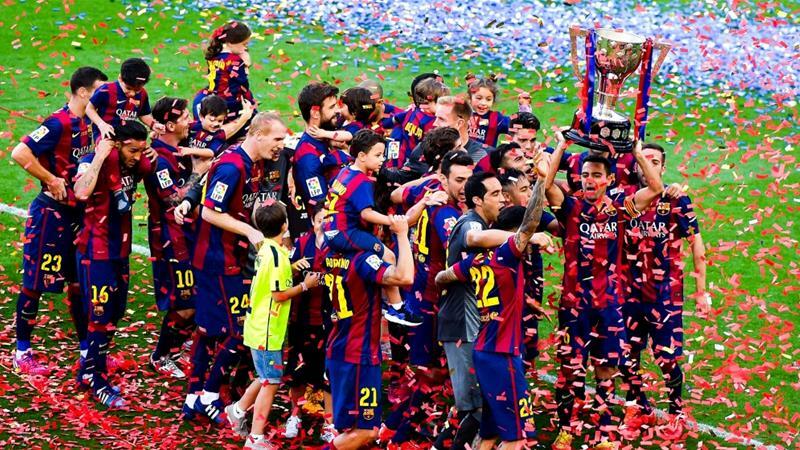 Images from FC Barcelona's La Liga Title victory Celebrations. A great analysis about Xavi's playing style. 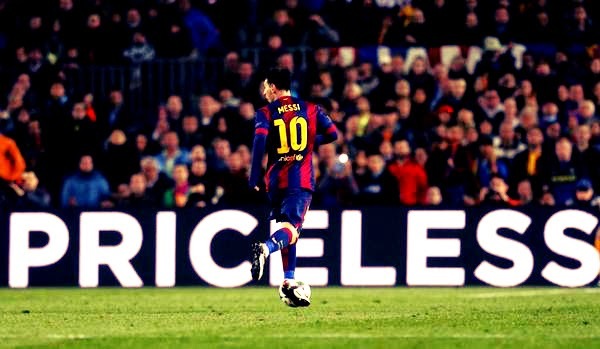 This is from Barca's 5-0 destruction of Real Madrid at the Camp Nou. Xavier Hernández i Creus, Xavi announced his departure from the Club this Summer. Xavi Hernandez has been at the club from the age of eleven and now leaves for Qatar Club Al Saad. We all knew that this was going to happen; but somehow didn't want to face it. 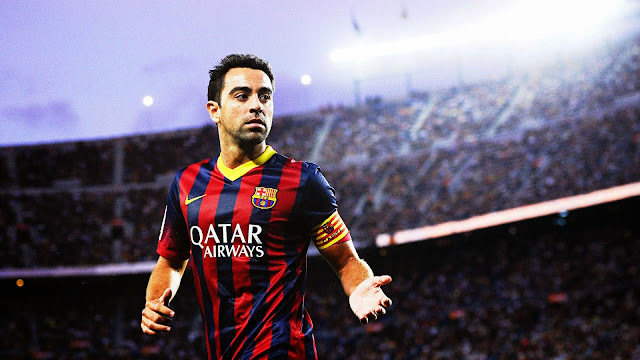 An Era has ended at Barca - "The Man Barca" as we all knew Xavi Hernandez will be leaving the club this summer. 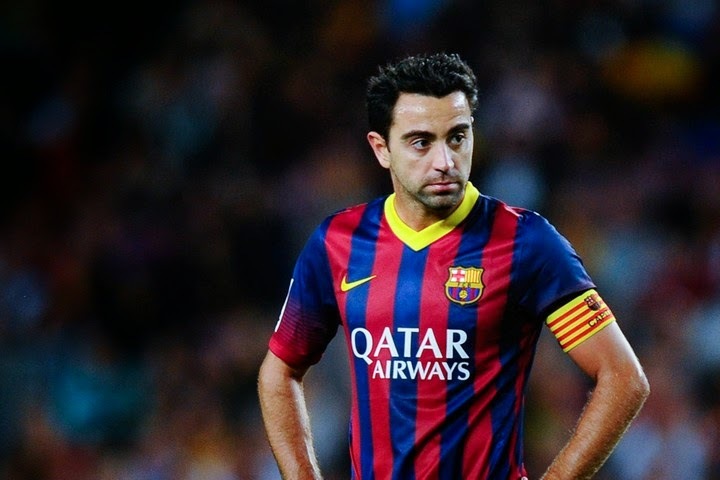 As the legend himself said it would be quite awkward to see Xavi wearing a jersey other that the Blaugrana. I personally believed he had at least two to three years of top flight football left in him; may not be at Barca but elsewhere in Europe. But then the decision to leave was made last summer and at the twilight of the career he looked for more financial opportunity than footballing opportunity. Now can't blame him? After having won a World Cup, 2 UEFA European Championship, 8 La Liga titles, two Copa del Rey, 6 Spanish Super Cup, 3 UEFA Champions League, 2 UEFA Super Cup and two FIFA Club World Cup, it would be extremely difficult to find motivation season after season. The fun part is that he could be adding two more to that list by the time his Barcelona Career comes to an end. For the record, the decision to leave was all his as the club has already offered deal to extend his stay up to 2018. But for the most decorated Spanish footballer of all time, it never made sense to play a withdrawn role in the club. 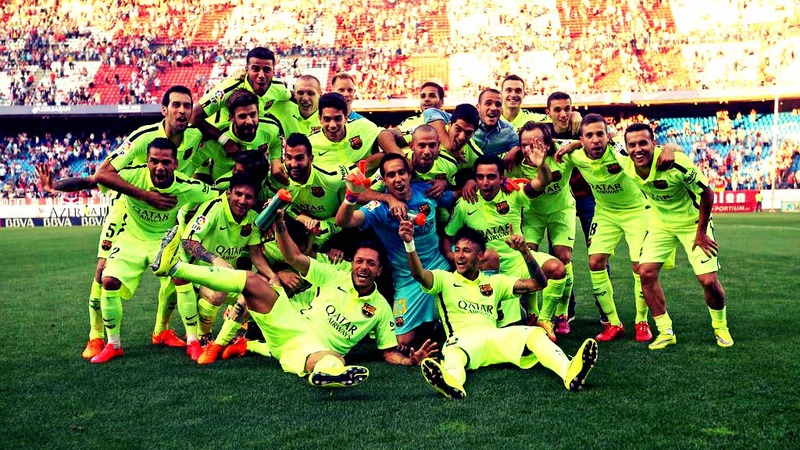 FC Barcelona players celebrating Title victory at the Vicente Calderon stadium. 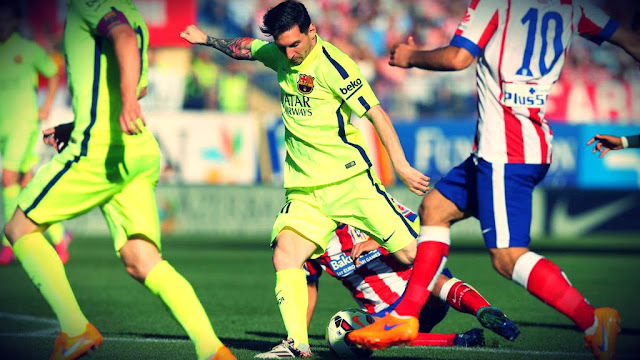 All the goals and moments from Barca's title clinching victory over Atletico Madrid at the Vicente Calderon. 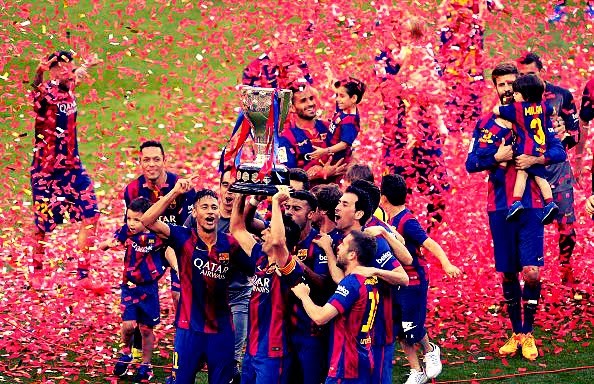 FC Barcelona were crowned La Liga Champions at the Vicente Calderon with a 1-0 victory over defending La Liga Champions. Lionel Messi scored the sole goal of the match, putting them four points ahead of Real Madrid with one game to spare. It had to be at the Vicente Calderon; there is no better place to seal this title. A failure here wouldn't have been colossal as we would have got another chance against relegation threatened Deportivo La Coruna at home. But then the team cannot have let this chance go. Last season Atletico Madrid sealed their La Liga title at our home; this season we gave it back in kind. Last season Lionel Messi had a legitimate winner ruled offside but this season he never gave them any chance. The goal he made and finished was so beautiful that it should have won us the League on its own. The equations at the start of the match was clear - We Win, we seal the title or else we get another chance at the Camp Nou. Real Madrid needed a victory to stay in the title hunt, and they got one with a Ronaldo hat-trick but then it didn't matter at all. It's quite surprising that after spending almost half a billion dollars on transfer market from the onset of Guardiola era, Real Madrid has only won one League title; exactly same as their cross-twon rivals, Atletico Madrid. For Barcelona and Luis Enrique, this League title was quite a turn around from the troubles they were in at the winter break. La Liga title was a long gone hope then, the team was crumbling and Enrique, if rumours have to be believed was one match away from sack. Now he and his boys have orchestrated one of the greatest turn-around for this club and is on-course for yet another treble. Watch the video of a young Lionel Messi take apart Juventus in the Joan Gamper Trophy 2015. He was just 18 years old then. 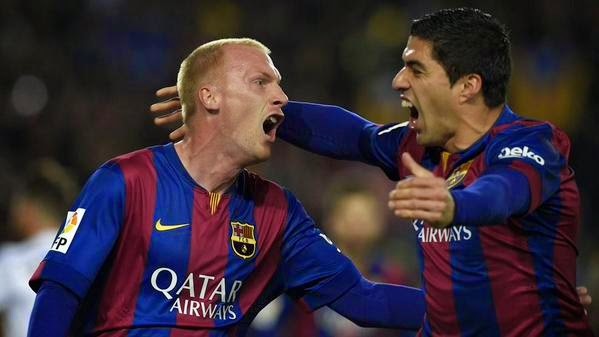 He was simply sensational providing a extra-ordinary assis for Iniesta's goal. The much awaited Champions League Clasico final is not going to happen; not our mistake, we did our part. It was all upstaged by the Current Italian Champions , Juventus who strolled to Santiago Bernenbeu and got the job done. For Real Madrid, our greatest rival it was more or like that feeling of Déjà vu all again. What Morientes did to Real Madrid in the 2002-03 season, this time Alvaro Morato did, a player who was deemed surplus to Madrid's requirement. After that set-back orchestrated by Fernando Morientes, Real Madrid developed a habit of putting a "no-match against Real Madrid" clause to every one of their loaned players. I am not sure what they will put here in this case. He was sold by the club! So after seeing off our greatest rival, the Italian Champions Juventus will be looking to repeat the same performance against FC Barcelona. FC Barcelona meanwhile looks confident and in top form to steamroll any challenge put forward by their opponents. Their biggest worry till yesterday was whether they would get a chance to win the Copa Del Rey and the League. Anyways that has been settled with the Court ruling the strike to be unlawful. All goals from Barca's 2-3 defeat at the Allianz Arena, in Munich. Barcelona Futobol Club secured their spot in this season's UEFA Champions League Final which will be held in the Olympic Stadium, Berlin despite going down 3-2 to Beyrn Munich away from home. The final will be held on the 6th of Junes, Saturday and Barca's opponent will be either Real Madrid or Juventus. Will it be the First Clasico Champions League Final? We have to wait and see; anyways we have done our part! This tie was almost secured in the first leg and hence this tie was more or less an insignificant unless Bayern Munich inspired themselves to a once in a life-time comeback. They almost threatened to start one, but Barca's awe inspiring trio of MSN (Messi, Saurez and Neymar) killed it before it could take shape. One could argue that Barca were a tad complacent throughout the match especially after Neymar's seconds goal gave us a 2-1 lead. But then one could give them that leverage as they clearly knew the match was over at that point. Bayern needed to score 5 unanswered goals from that point to qualify, which basically is an impossible task considering the opposition is "BARCA". They did suffer a bit due to their laxed attitude, especially the defense who were bombarded with attacks after attacks. One huge positive out of this was seeing Ter Stegan getting a decent work out. He clearly showed why we went for him and erased any doubts whether he is the future. 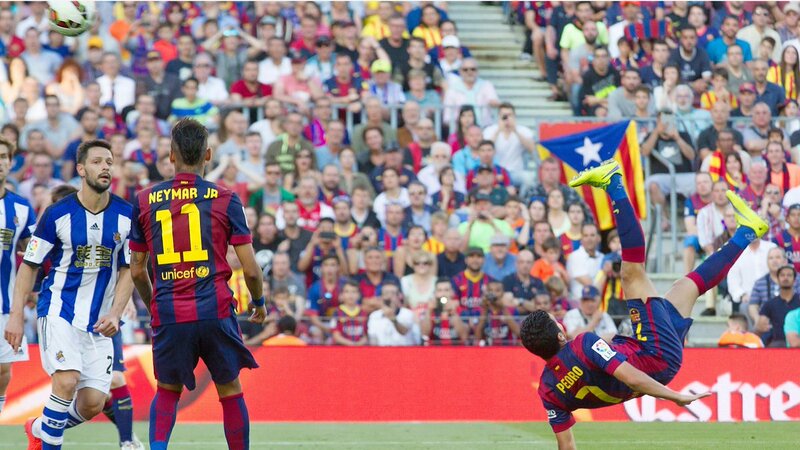 FC Barcelona increased their lead on top to four points with a 2-0 victory against Real Soceidad at the Camp Nou. What will Happen to La Liga Title Race? This could happen only in Spain. The league is all set for a photo finish with both FC Barcelona and Real Madrid racing neck to neck, with no space for any slip. In such a back drop, all discussion should be about how it will all span out or at least whether Messi is human or not! But Spanish League being Spanish League, that wasn't to be the case. Now one of the most promising end of La Liga Title Race is under threat of being killed prematurely by utter stupidity and confusion from the part of Spanish Federation (RFEF), Spanish Football League (LFP), Spanish professional footballers' union (AFE) and of course the Spanish Government. For those who are not much aware of what is going on, here is a recap. It all started with the Spanish Government approving a law governing the sale of television rights to broadcast football games and the distribution of the income. Technically the law has to be passed by the Parliament, but it is safe to assume that it would sail through the house. Highlights Video of last night's 3-0 destruction of Bayern Munich by Barca. 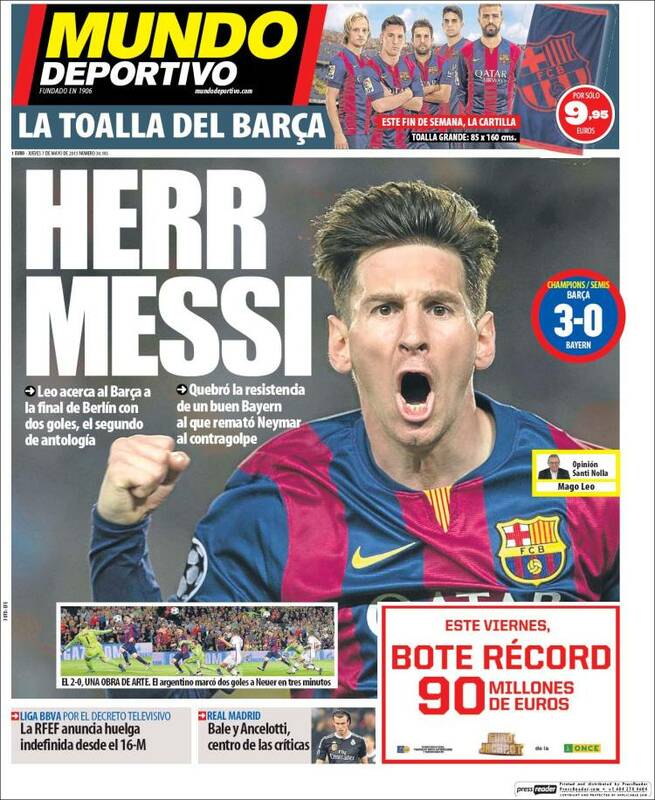 Lionel Messi scored twice and assisted the other goal in 3-0 victory against Bayern Munich. I ran across the living room, struggling to keep my voice down, kept runinng in circles and circles; just to digest what I witnessed in the second goal Messi scored. To be fair, like Luis Enrique said he don't surprise us much. Whatever he does is pretty ussual for him, he has done the dink over the keeper a hundred time in the past. But this felt different and there is some real good reason behind that too. Will come to that later! So, what happened! In a match which was billed as the clash between the top two sides in Europe - One guy emerged as the king maker scoring two goals and creating another. A 3-0 scoreline in favour of Barca was something of a wish for Cules for sometime; but I am pretty sure that none of us never said that out loud. If you had done that, I am pretty sure questions might have been raised about your mental health by now. The match went goalless till the 77th minute, when all of a sudden Lionel Messi decided to show why on Earth he is "The Best Player in the World". Luis Enrique, the ex-Barca player and the current coach would definitely be a bit nervous coming going in to tomorrow's clash against Bayern Munich at the Camp Nou. With the full crowd support plus a team where the three strikers have not only gelled well, but also scoring tons for fun between them; usually that calls for a confident or may be an over-confident manager. But that won't be the case tomorrow. Luis Enrique will be nervous, regardless of the offensive powers on his arsenal - that's because he knows clearly that this clash will define his legacy as a manager at Barca. Barca currently is very much in fight for all the three available trophies this season, any coach who does that especially so late in the season is entitled to call it a successful stint; but Luis knows clearly that this tie is the match on which everything matters. He won't lose his job or credibility if he fails here; but he will know clearly that a failure here will see Guardiola's legacy hanging over his head like a Damocles sword for the rest of his Barca career. 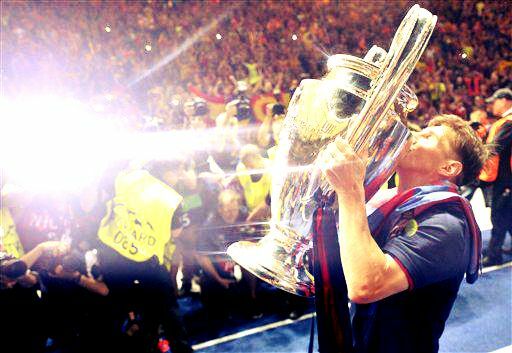 Succeed here, he would kick the legacy of Guardiola out of Barca, at least of his tenure and write his name with the golden ink. 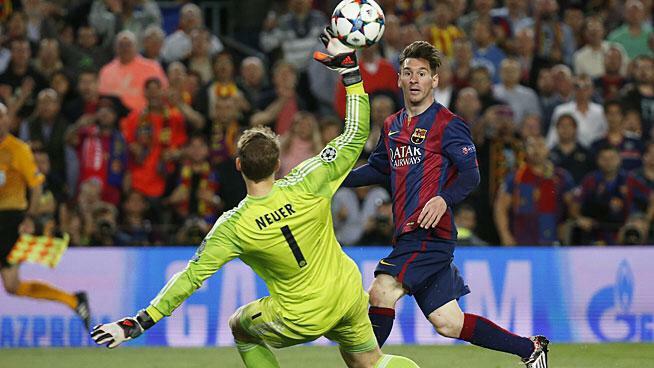 If there is one weakness in Messi's game recently, it is with Penalty kicks. But last night he dispatched one with absolute contempt. Watch the video. Barcelona Football Club was at their very best last night against a hapless Getafe hitting them for half a dozen goals at the Camp Nou. 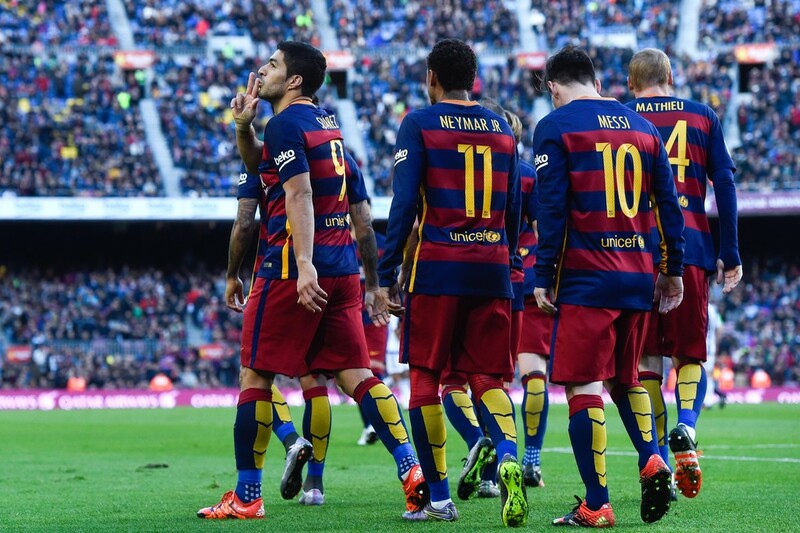 With just four matches to go, Barca have their sights firmly set on the League trophy. Even though they have a clash with Atletico Madrid in the penultimate week, we could expect them to get the job done. Of the remaining match the Atletico Match looks tough for our boys. The rest we should be able to easily negotiate. Real Madrid who is currently lying five points behind will be facing Sevilla away from home and Valencia at home and also Espanyol away from home in their last five matches. Unless we screw this up this League trophy is definitely coming to Barcelona. The performance from the team were simply sensational- the pressing, the inter play, the goals all were out of the world. 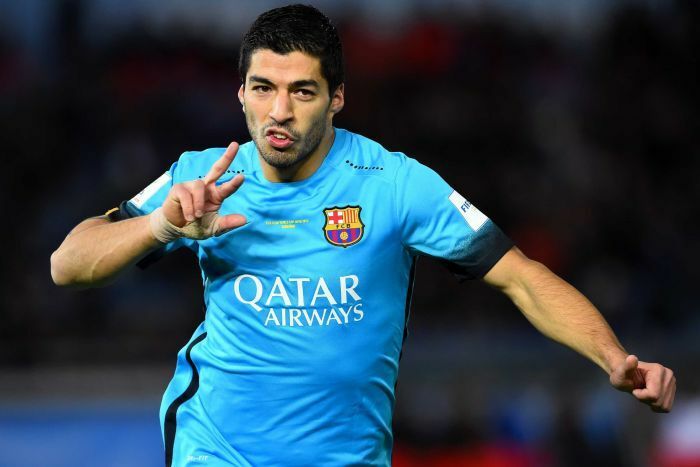 And once more Luis Saurez was the star of the match with two absolutely brilliant finishes. As widely expected FC Barcelona made short work of French Champions Paris Saint-Germain F.C with a routine 2-0 victory at the Camp Nou. Two well taken strike from Brazilian Neymar completed the formalities; and it was mere formalities after a 3-1 victory in Paris last week. After seeing off PSG Barca now joins ex-Coach Guardiola managed Bayern Munich in the semi-final. The rest of the participants will come from tonight's equally poised semi-final and would be either one of Atletico Madrid or Real Madrid and Juventus or Monaco. With this success Barca have once again made it to the semi-final after going out at this stage last season against Atletico Madrid. All eyes will be on Paris tonight when FC BARCELONA takes on PARIS SAINT-GERMAIN FC at the Parc des Princes stadium. Without any doubt the Quarter-Final ties involving Spanish sides - FC Barcelona, Atletico Madrid and Real Madrid are the pick of the lot in this season's Quarter-Final line-up. This clash is also between two sides who are on top of their respective league table, funny enough they both reached there after a bit of struggle. The similarity in this season doesn't end there. Both their leagues are usually known to be strictly two horse legs but this season these two are the most keenly fought leagues in Europe. Spanish League has become a three horse race with all three Quarter-Final participants fighting for the coveted trophy. Meanwhile without any doubt French League is where we seeing the toughest battle with four teams separated from each other by a mere point. Funny enough, the so called "Best League in the World" has become a one horse race and don't have a single team in the late stages of Champions League or Europa League. A draw at one of the toughest grounds in Spain can never be claimed as stumbling/setback, especially if the Home team has never been defeated not even once this season there. But still to throw away a 2-0 lead especially with the La Liga title in the balance could prove to be really scary when the season ends. Before this match, every football pundits have identified Estadio Ramón Sánchez Pizjuán as the place where both FC Barcelona and Real Madrid could end up dropping points. In that background, the two points lost after leading 2-0 does feel like a loss in some way. Had we won the pressure on Real Madrid (who are currently two points behind Barca ) would have been enormous. Every team has struggled away at Sevilla in recent times, but Barca in recent times have managed to successfully decode the key to success at the Estadio Ramón Sánchez Pizjuán . Prior to this draw the last time Barca dropped points here was in the 2011-12 season.